Anyone who knows me will tell you that I absolutely love Pandora jewellery. It's so easy to wear, high quality and I love the fact that no two pieces of jewellery are the same, we all choose different ways to dress the bracelets or stack the rings. So I thought I'd share with you all which pieces I'm lusting after at the minute. One of my other obsessions is dragonflies, and I've been wanting a dragonfly charm for my Pandora bracelet for a long time. I've just come across this one (bottom right) and it's absolutely perfect! I love how dainty it is and it would be a gorgeous addition to my bracelet. I've been looking at new rings for a while and I absolutely adore this ditsy daisy ring. It would look stunning stacked against the ones that I already have and I don't think you can ever have too much sparkle! In July, my boyfriend bought me a charm from the rose gold collection (my subtle hints actually worked for once!) to go on my bangle, and now I'd love another one to tie it all together. This openwork charm is so delicate and would look beautiful on a simple bangle. I'm going for a more understated look on my bangle to contrast against the bold blues of my first bracelet so the soft pink stone charm would be perfect for that! 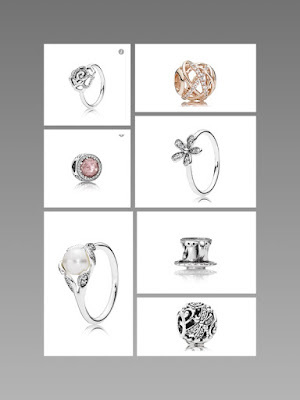 Do any of you love Pandora too? What do you currently have your eye on? 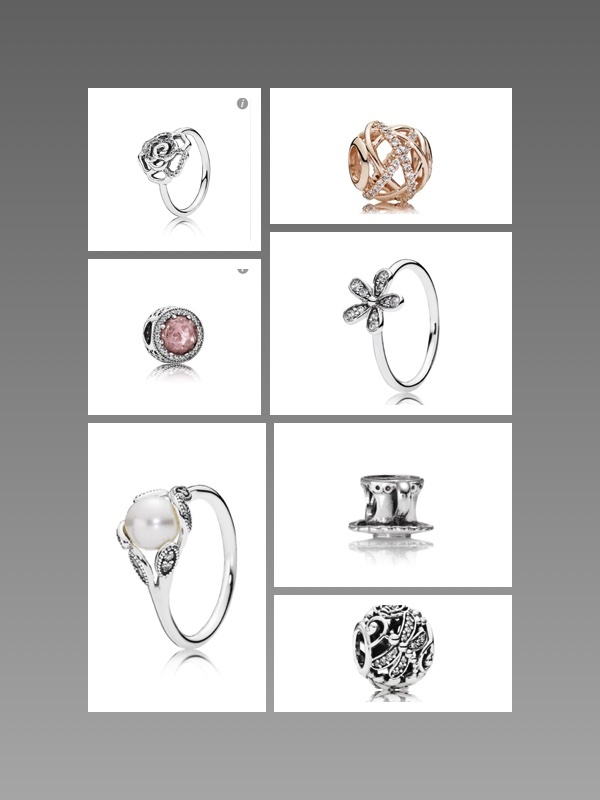 I love pandora! You've got some gorgeous items on that list it's making me want them all! I seen an email with the pearl ring and that's definitely on my Wishlist!! It's so classy!